How to eat during the fasting days? 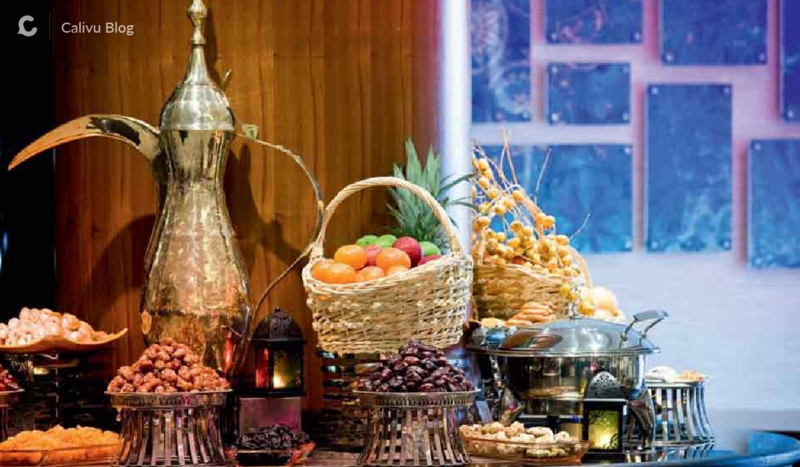 If you are like me and Ramadan stokes cravings for platters of deep-fried food and early morning binge eating, then you’ve got to read this. The whole idea of fasting revolves around abstinence, and the food is a big part. We are not used to skipping lunch and the occasional tea/coffee break so ‘the struggle is real’. True that a full-day fast cuts down on the body fat but the evening feasts at iftar over-compensate for starvation phase during the day. The result is, most of the people like me end up gaining weight during the month while still feeling starved. There sure has to be a solution! Evidently, the problem lies in poor eating habits so resolving those will be a good start. Much of the problem can be solved by just avoiding over eating, which is quite common during fasting. Overeating won’t do any good to the body, rather it disturbs the normal body processes. Next is to avoid awkward combinations like cold with hot (hot, deep-fried finger food with an ice-cold milkshake) or cold with fried stuff (samosa with a cold drink). These types of combinations are likely to disturb the digestion process. Early morning meal: This is the way of providing body enough energy for the long day fasting. Fast breaking meal: This will replenish the body’s deficiencies of nutrients that it has lost during fasting. During both meals, healthy and proper eating is a must to maintain a healthy body and obtain maximum benefits of fasting. Consider a healthy meal as a triangle. Cereals (wheat, rice, oat etc. and related products) make the base of this triangle (making the bulk of a meal), above these are fruits and vegetables, then come the protein based stuff (pulses, egg, meat, poultry) and dairy products. Sugar and oil make the peak of the triangle i.e. should be used sparingly. This triangle makes the foundation of a healthy eating meal and is called food guide pyramid. By just keeping food guide pyramid in mind you can dodge much of the inappropriate eating patterns. You might find it difficult to adjust all these 5 food groups in a single meal but it’s not so problematic. Here’s a sample diet that I tend to follow. Fast breaking meal: Fruit milkshake (dairy and fruit group), chicken veggie sandwich (protein, vegetable, and cereal group) and any fruit of choice. Fast breaking meal: Lemonade, milkshakes (fat-free) and fresh fruit juices. Watermelon these days is the best source to re-hydrate your body, with some minerals and vitamins as a bonus. Ah! The most difficult task to do. It’s totally natural to have those craving for pakoras and samosas after breaking fast but if you aim at healthy eating, you must restrain yourself from those yummy-but-problematic foods. But the silver lining here is that you can have that yummy stuff, not exactly during breaking fast but after you have given something healthy to your body to knock off the starvation mode. Having fried stuff in morning meal too should be avoided. P.S. Sandwiches, with salad and boiled egg and mayonnaise as filling, is a good option for fast breaking meal. Fruits and vegetables are the best natural sources to fulfill the body’s daily requirement of essential vitamins and minerals. So, having seasonal fruit in fasting meals is a ‘big’ must. Early morning meal: Raw dates, banana, apple or other seasonal fruits or fruits in yogurt etc. Fast breaking meal: Mixed veggie pasta salad, fruit milkshakes, fruit chat or fresh watermelon. Reminder! ‘Eat, sleep and repeat’ will only give you some extra pounds of bad fats so don’t hesitate to move your body during the day for proper and smooth digestion of the food and to avoid unhealthy consequences. Maryam has graduated as a Dietitian and loves to write about nutrition, health, and wellness.